The next day, Shelby’s reluctance to get a firm answer from Trump left Republicans in limbo. 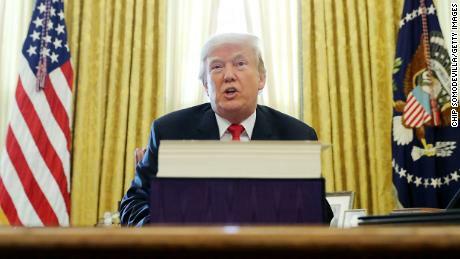 As the full details of the 1,169-page package went public, word started to come from the White House that Trump was considering a veto. Some of his advisers, aides said, were urging him to reject the deal and push for a stop-gap measure instead — something most Senate Republicans deeply opposed. For hours, the Republican conference was on pins and needles, worried that the whole effort to avoid a second government shutdown would fall apart at the last minute. And if the polling was right, the GOP was liable to take most of the blame, not the Democrats. About 30 minutes later, the Senate began voting on the bill, sending it on to eventual passage in the House and bringing an end to nine of the most excruciating weeks of Washington paralysis in modern history. The story of how it ended isn’t one of high-ranking White House officials coming to the Hill and striking a grand deal, as Vice President Mike Pence and Jared Kushner, the President’s son-in-law and senior adviser, had attempted. Nor is it one of the party’s two leaders, Nancy Pelosi and Mitch McConnell negotiating head-to-head. Instead, the crisis was resolved the way spending impasses are supposed to be: with the top appropriators working behind the scenes to hammer out a deal. 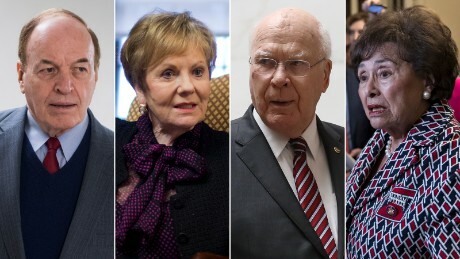 The credit, according to aides and lawmakers in both parties, belongs to four veteran lawmakers, two Democrats and two Republicans, two men and two women, all of whom are well past 70 years old and who together have more than 130 years of combined experience in Congress. Shelby, Sen. Patrick Leahy of Vermont, New York Rep. Nita Lowey, and Texas Rep. Kay Granger— these are the top four appropriators in Congress. The youngest among them, Granger, is 76; the oldest, Shelby, is 84. In crafting a deal that for weeks seemed impossible, these four lawmakers were able to avoid a second shutdown and prove that, if only for the briefest of moments, Congress can still function. When President Trump announced the end of the government shutdown on Jan. 25, he gave Congress three weeks to reach a broader agreement on border security. The odds didn’t look good. As much as any issue, the border wall has created a visceral rift between the parties. And there was mounting frustration among the rank and file on both sides. “We want to support him. We want to have his back. But he can’t just turn around and hang us out to dry,” the senator, who declined to go on the record for fear of facing backlash from Trump, told CNN. Across the Capitol, the new Democratic majority in the House had its own agenda, which for some of the newest members of the caucus included blocking Trump at every turn. 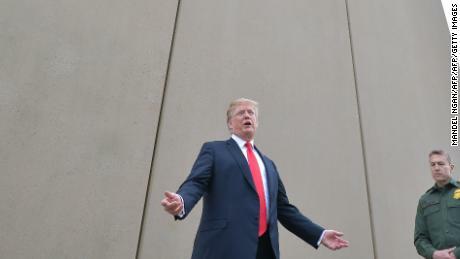 To some freshman Democrats, a dollar of funding for Trump’s border wall was too much. The party leaders weren’t much help either. Trump and House Speaker Nancy Pelosi were hardly on speaking terms, while Senate Majority Leader Mitch McConnell had reached a point “beyond frustration,” according to one person who spoke with him regularly. The shutdown debacle had clogged his relentless push to move through nominations — in particular judicial nominations — and created no shortage of heartburn inside his conference. Early on, it became clear that the only way a deal could get struck was to leave the negotiations up to the four veteran appropriators and give them space to work. McConnell, in conversations with Trump, urged him not to interfere, according to two people familiar with the discussions. Meanwhile, Pelosi stayed in regular contact with Lowey, but took pains not to put her thumb on the scale. The four negotiators made quick progress, moving from opening bids that were non-starters to closing out a series of issues to get the bill within range of possible completion a week before a shutdown. It helped that Shelby and Leahy were friends. The two sometimes travel together with their wives and have built one of the most productive working-relationships on the Hill. Last year, they shepherded more appropriations measures into law in a single year than any Republican-Democratic duo in the last three decades. Lowey and Granger are also close and, according to aides, have a mutual respect and trust for each other. 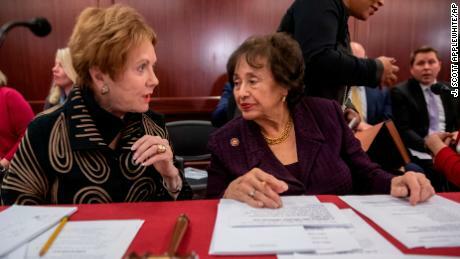 California Rep. Lucille Roybal-Allard, a conference committee member and top homeland security negotiator for House Democrats, joined the quartet and played a key role in grinding through the early issues, a Democratic aide said. By Friday, Feb. 8, a week before the shutdown deadline, the group seemed to be within striking distance of a deal. Then everything fell apart. At issue were detention beds for undocumented immigrants detained by Immigration and Customs Enforcement. While Republicans wanted to expand their number, Democrats wanted to significantly reduce and cap the total number of detention beds, particularly those reserved for undocumented immigrants detained inside the US, as opposed to on the southern border. Democrats saw it as a way to hamstring the administration’s efforts to detain and prosecute undocumented immigrants. The cap had been in the original Democratic proposal, but Republican negotiators didn’t think Democrats were serious about it and largely ignored the idea. On Saturday morning, just six days from the shutdown deadline, Democratic staffers made clear they were serious about capping detention beds and refused to budge. GOP staffers were stunned. Shelby told his staff to walk away, which they did during a curt, 10-minute meeting between Republican and Democratic staff in the Capitol that afternoon. Lowey called Shelby later in the day and urged him to come back to the table. The detention bed reduction was a non-starter, Shelby told her. Lowey then called Leahy and asked him to reach out to his friend, which he did to no avail. Shelby’s position was firm. By Monday morning, Feb. 11, McConnell was on the Senate floor calling the Democratic proposal a “poison pill.” Staffers in both parties started working up backup options to keep the government open. Early that afternoon, after a weekend of calls between Democratic conferees and leaders, Pelosi called Roybal-Allard and Lowey from the West Coast, where she was waiting to board a plane back to Washington, and told them it was time to give up the hardline on detention beds. It had become a fight that wasn’t winnable. There were other ways to tie Trump’s hands on immigration enforcement. The group of four negotiators agreed to meet at 3:30 that afternoon, and when Lowey walked in, she made clear the cap on detention beds was off the table. Suddenly, tensions eased and staff got back together to continue work on a possible deal behind the scenes, even as dread appeared to consume the Capitol. That evening, the group met again, this time in Leahy’s Capitol Building hideaway, an office with sweeping views of the National Mall— the kind that come with being the fifth-longest serving senator in the chamber’s history. As they sat down, Leahy made clear that it was up to them to strike a deal. Shelby said they wouldn’t leave until a deal was finalized — even if it meant staying there all night. Within 30 minutes, they were basically done, having agreed to the topline numbers, multiple aides said. The group broke so Lowey and Granger could go vote in the House. They would reconvene at 8 p.m.
Lowey, however, hadn’t settled one thing: the final number for the border barriers. The group had tentatively agreed to $1.45 billion. But Lowey wanted to see if she could reduce it by $75 million. She told her staff that if Republicans balked, she was prepared to make a show of storming out. Walking back to Leahy’s hideaway, Lowey told Shelby that to ensure Democratic votes would be there in the House, the most she could agree to would be $1.375 billion for border barriers. Anything more would be a deal-breaker. Shelby signed off, and Lowey didn’t have to storm out after all. House Democrats told their homeland security staffers to go home, since most of them had hardly slept for days. They needed to be fresh for the final push of putting actual pen to paper to draft the agreement. Shelby now faced the unenviable task of selling the deal to the President. Not only was Trump unhappy with it, but conservative talking heads and pundits were outraged. Sean Hannity called it “garbage,” Ann Coulter, tweeted, “We thought Trump was going to be different,” And Fox News anchor Laura Ingraham called the bill a “total scam” and urged the President not to sign it. 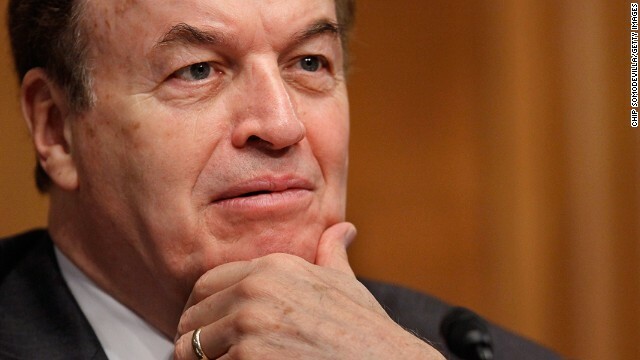 Shelby kept in regular touch with Trump, walking him through the details and encouraging him to think of the deal as a “down payment.” Shelby also emphasized a topline number that had been pulled together by staff, $22.5 billion — that covered the entirety of the border security spending in the bill. It had the desired effect. Trump tweeted positively shortly after a Tuesday phone call with Shelby — and explicitly cited the “23 billion” number. Shelby and McConnell were also careful never to ask Trump for a commitment to sign the bill. While that gave the President space to make a decision, it led to uncertainty among Republican lawmakers. By Thursday, it became clear there were issues inside the White House. While most White House officials urged Trump to accept the deal, according to administration officials a handful of immigration hardliners were raising significant concern. The deal as it was written, they argued, tied the President’s hands and would undercut his immigration policy and authority. At one point, acting chief of staff Mick Mulvaney suggested a short-term funding bill to send negotiators back to the table. This was exactly the situation McConnell had worked to avoid. Trump, in particular, was worried the bill would restrict his ability to move money around for border barriers. As GOP congressional staff continued to walk White House staff through the ins-and-outs of the final bill (“a complete and total grind” according to one person involved in the process), McConnell stayed in regular touch with Trump — talking to him multiple times by phone as the day moved along. For weeks, McConnell had tried to explain to Trump that an emergency declaration could create big problems for Republican senators, many of whom opposed the move on constitutional and precedent grounds. Congress has the ability to block an emergency declaration, and if Republicans defect, Trump could have a veto fight on his hands. But none of that mattered to Trump, and as the clock ticked down Thursday afternoon, McConnell eventually clinched his support by doing something he knew could have severe repercussions for his conference: he told the President he would back his plan to declare a national emergency. “It was a trade off,” said one Republican official familiar with the final call with Trump. McConnell wasted no time locking in the agreement, walking straight to the Senate floor, interrupting a colleague and announcing to the public the President would sign the bill. Asked about the final call, McConnell made clear the goal was simple: find a way to get it done — and finally put an end to 57 days of government funding drama. 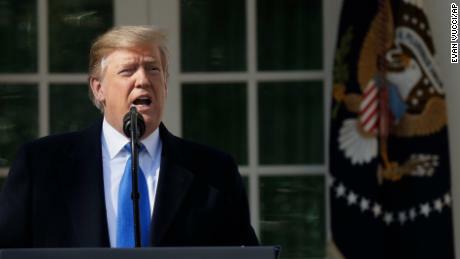 By the next day, Trump was signing the bill and holding a rambling press conference in the Rose Garden in which he defended his right to declare a national emergency. For the first time since December, the funding battle and shutdown crisis were off the table. Senators headed to the airport to catch flights home, or to long-delayed family vacations or, in some cases, to Germany for the Munich Security Conference. As for Shelby, he was able to share in a moment of comic relief. Asked if he gave his staff high fives after his phone call with the President on Thursday afternoon, Shelby smiled. “They tried to, but I’m an old man and they knocked me down,” he said with a laugh before walking out of the Capitol. Shortly after the vote on Thursday, McConnell got back to work lining up circuit court nominees for votes. On Friday, just before the President spoke, McConnell released a statement blaming Democrats for the national emergency declaration. CNN’s Kristin Wilson, Manu Raju, Lauren Fox contributed to this story. What was her relationship with Lewis Hamilton?